Pride and Prejudice is again on my bedside table, for the upteenth time. 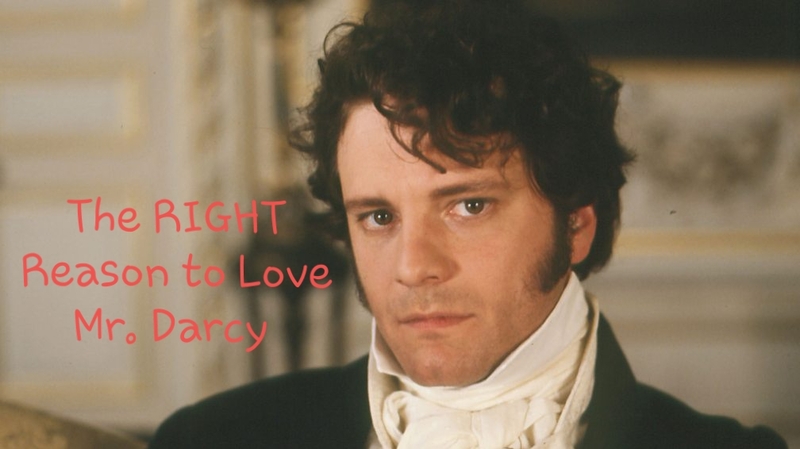 I have to share a Book versus Movie pet peeve in regards to Mr. Darcy. To those who have only seen the movie of Pride and Prejudice and swooned over how amazing Mr. Darcy is, remember that he isn't just shy and Elizabeth has to "get to know" him. In the book, he actually is quite an arrogant snob. Yes, he is shy and improves upon better acquaintance, but he was also deeply spoiled and snobbish. I don't think Jane Austen wanted us to see him just as a misunderstood hero, but a man with the ability to change, which makes him a hero. Opening his heart to Elizabeth changed his view on others below his station. Being rejected by her, and having to win her heart made him a better man. Yes, we all need our own Mr. Darcy, but not because he was this perfect man she just didn't see clearly in the beginning. We need him because he is a good man at heart who is also willing to seek growth. Please, continue to fall in love with Mr Darcy, I certainly do, but love him for the right reason.